What an odd looking title that is. Let me explain. 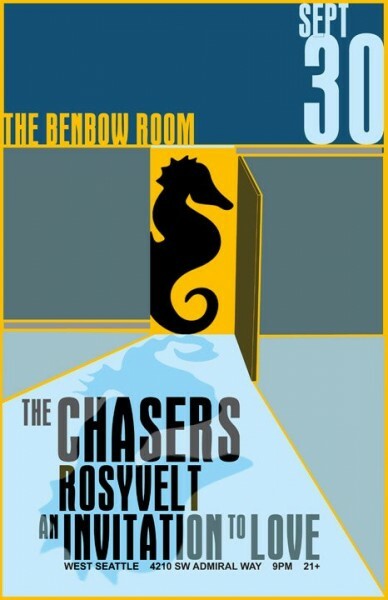 The Benbow Room is a bar inside the Heartland Cafe in West Seattle (4210 SW Admiral Way). 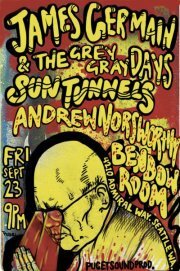 Rock shows are now happening in that bar now, and for some reason I will have played there three Fridays in a row. My first show was last week, and Sam joined me on drums. We only played a few songs as it was a 5-band bill, but it was a fun night. This entry was posted in An Invitation to Love, Music, Shows, Sun Tunnels. Bookmark the permalink.